A new web service lets you turn tired old text into pictures of cats. Are you a writer? Or maybe just an active Facebook and Twitter-er who misses the good old days of handwritten letters, before digital media destroyed our capacity to express human emotion with words? Either way, are you tired of waiting for all communication to move past the clunky words of generations past and finally metamorphose into the dancing cat GIFs that we all know and love? Then boy, does the Internet have the thing for you. 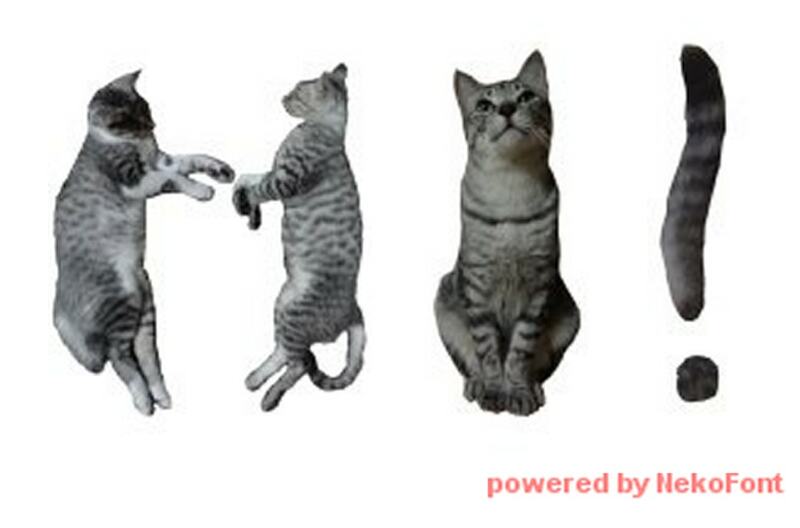 Meet Neko Font, a web app that will transform text into a new font made entirely out of cats. Well, pictures of cats, to be precise. All you have to do is insert the copy of your choice into the text box and Neko Font (Japanese for "cat font") instantly hands it back in cat form. Seasoned Internet cat lovers will already be familiar with other cat-based writing tools out there such as Written Kitten, a service designed to help motivate writers by giving them regular doses of cat pictures whenever they reach a word-count interval of their choosing. But as far as I can tell, this is the first piece of software that manages a complete cats-formation. For all their flexibility, cats don't always make the clearest-cut shapes, so it can be a little hard to read at times. There's a reason that you don't find a lot of stories about how Steve Jobs obsessed over purrrfecting a cat-based font while designing his legendary cluster of Apple products, after all. 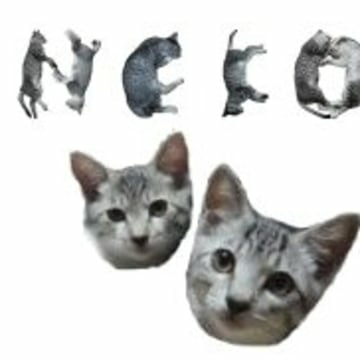 Neko Font's logo, naturally written out with its cat-based typeface. But that's not the point. 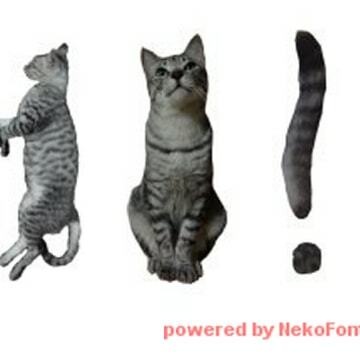 Just as "Catmoji's" creators realized that legions of cat lovers wanted something more feline-focused than Facebook, Neko Font understands that the Internet is made of cats. They already have their own cottage industry and cult of celebrity, after all. It was only a matter of time before cats took over the last thing that humans hold over them. As the video game website Kotaku noted, "You can write all sorts of things in Cat Font." Truly, the possibilities are endless. Just this morning I used it to wish my intrepid editor here at NBC News a happy birthday. One Japanese Twitter user had the cats twist and turn into the eternal phrase "I love you." There haven't been any reported cases of Cat Font being used to propose to a loved one yet, but it's only a matter of time. Really though, it's media moguls that should be excited about this new form of communication. If cat videos have already proved so lucrative, who can even predict how much cat words will eventually be worth? Forget about the "GIF-industrial complex" or "apocalyptic journalism." This is the future of media.